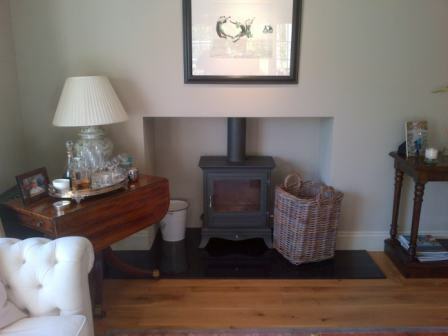 For this project The Billington Partnership fitted a bespoke wooden mantel as the client already had a wood burner installed. The client wished for the fireplace area to have more prominence in the room and fitting a mantel would frame the existing wood burner perfectly. We talked through several different options with the client. 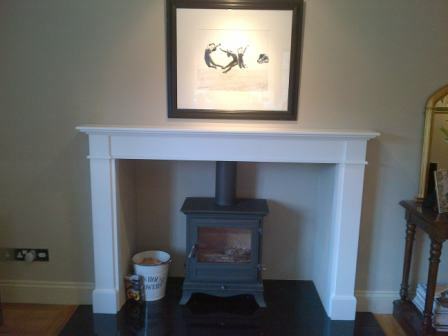 The final choice was for a bespoke wooden mantel which we successfully created and then installed. As a result, this made the wood burner more of a focal point in the room. The Billington Partnership can help you create your dream fireplace. For more information on bespoke fireplace mantels, wooden or stone, please contact us to discuss your requirements.